They had one son born 21/03/1906 in Cirencester, and two grandchildren, Violet & Miriam. His will was resealed to New South Wales, Australia on 29th Nov 1961. My name is Heather Hudson. Ralph Ernest Platt was my great-grandfather. Some of the information on this page is incorrect, but much of it I believe to be correct, and fills gaps in my knowledge. My grandfather, Peter Leverich Waddington Platt spoke of this house, and the ‘potswater’ swimming. I appreciate this photo so much. Currently living in Canada, and will further add information when I have time. Thank you. Ed: Heather, many thanks for your contribution. As we always seek the truth, we feel sure that you would wish to share with us, when you are able, any errors that you feel may need correction. Hi John! 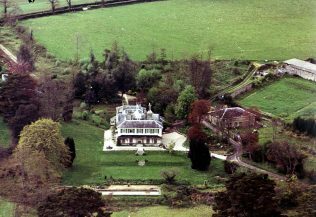 I live in an old house called Filleigh House in Chudleigh, Devon and have been researching its former owners. If you know anything in addition to the below, please do let me have the info as I’m compiling a one-pager on each of the former owners and anything I can add to articulate their characters and colourful lives will be of such interest. Harriet Wilmot Platt was born in New York and her father was a stockbroker there. He was affluent as he employed 4 servants at the time of her birth. I have viewed their marriage records at our local Records Office and it shows she married Ralph Ernest Platt on 30th October 1907 in St Margaret, Westminster. She was 27 and he was 30. Their addresses at this time were recorded as Westminster Palace Hotel and St Ermins Hotel, St James’ Park respectively. And their fathers professions respectively were banker and engineer. I’ve no idea why they were both living in hotels at this time! They’d had two children by the time they appear on the 1911 census in The Yaldens, Tongham, Surrey. Rosemary Elizabeth was born in 1909 in Pretoria, South Africa. James Wilmot Ogden was born in 1910 in Westminster. Why they were in South Africa I cannot discover. The family spent a lot of time on the Atlantic! They made a return trip to New York every year from 1909 (when their daughter was born) to 1913, then again from 1916 to 1930. I assume these breaks were for the World Wars. They resumed yearly/every other year from 1943 until at least 1957 by which time it seems their son James was making the trip on his own. 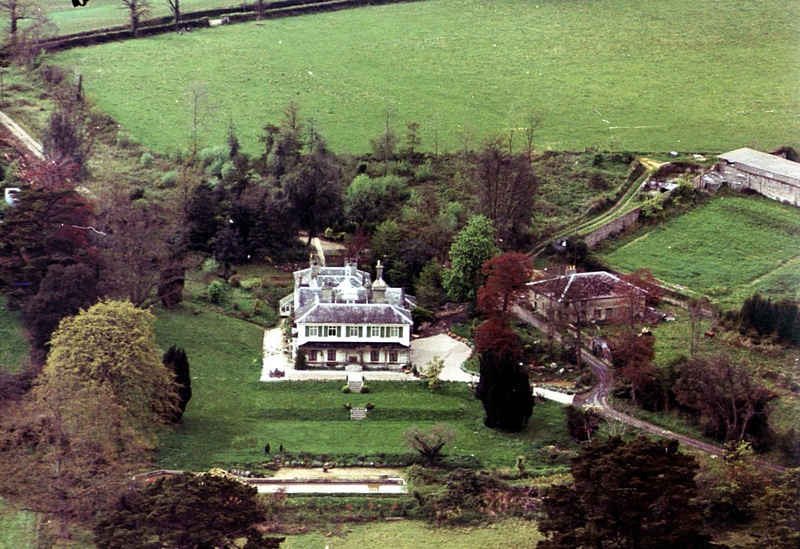 During their time at Filleigh House, they built an outdoor pool – in 1927, water for which was supplied but the pot water leat which used to be here. At the time of building, it was purported to be the longest pool built at a private residence. They must have been very keen on their swimming! On 26th August 1932 an advert appeared in the Exeter and Plymouth Gazette regarding the Chudleigh WI exhibition of family treasures at Filleigh House. “Mrs Platt and her colleagues feel it will be worth the admission of 1s”. The following month the Western Morning News advertised “Young kitchen maid recommended: leaving through reduction of staff – B Wicks, Filleigh House Chudleigh.” I suspect B Wicks is the housekeeper. On 5th May 1933 a letter was published in the Western Morning News sent in by R.A.S. Platt of Filleigh House, Chudleigh reporting the sight of a hoopoe (a bird) in his garden at Filleigh House. He was making comments on it’s rarity these days and hoped it would survive as a species. In the 1934 Who’s Who of Devon, Ralph Platt, born 1876, was recorded as living at Filleigh, Chudleigh, Devon. According to the 1939 Register, Ralph and Harriet had moved to Waddon House which is about 2 miles from the village. Currently it’s a 5 bed house but must have been that order of magnitude then as they had living with them a cook, a house parlourmaid and a childrens nurse. When he died in 1960 it was at The Clint, Chudleigh. This building still exists in the village but has been converted into at least 4 flats.